We are all finally in 2018 and what's a better way to start a new year than taking a trip to the beach? Stinson Beach as always was our destination and we were set for some fun in the sun. The coast is always so much nicer in the winter than it is in the summer. Our day at Stinson was absolutely beautiful. The downside of this visit was that we were fishing an outgoing tide from our arrival to sunset and that there was a lack of structure on the beach. First I set out my crabbing rod to see if I could find any crab out in the surf. The beach was looking very flat so I knew that my chances were going to be low but it was worth a shot. Once the surf rod was set, I rigged my fly rod and starting fishing. My set-up was my typical two fly rig with a Simple Shrimp as the trailer. 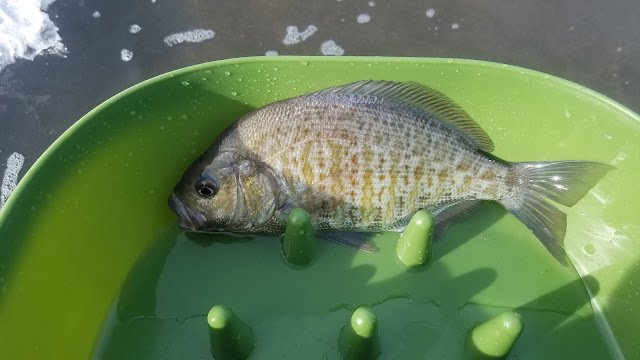 Within about an hour I was lucky enough to hook into two fat hard fighting barred surf perch on the Simple Shrimp before the surf began to recede. There were no signs of crab in the area so we decided to pack up and venture to a new beach that we hadn't been to before. Bolinas is a small town that sits about ten minutes away from Stinson. 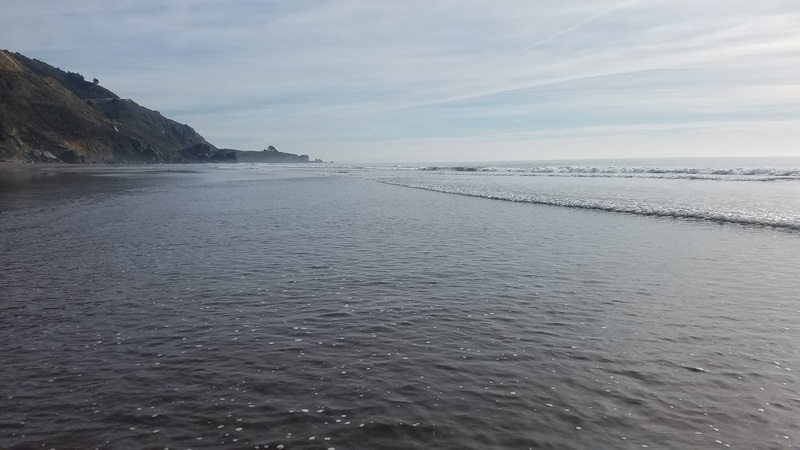 The only public beach in this area is called Bolinas Beach which can be found on the western end of the lagoon separating Stinson Beach. Parking was limited to only one lane but we were able to find a spot after making a second go around. I changed out of my fly fishing outfit due to the ebb tide and shifted focus on finding some crab. Once we arrived on the surf I scouted around the beach and noticed a rocky area that looked like a great spot to set up. As we made our way through the rocky area we noticed small jets of water shooting out all around us. It wasn't long until it clicked, "I those are clams!" We weren't prepared to do any clamming so we started digging with our hands. It wasn't long until our hands started bleeding from all the sand, grit, and rocks. We tried digging with some of the things we had brought but nothing worked well enough. 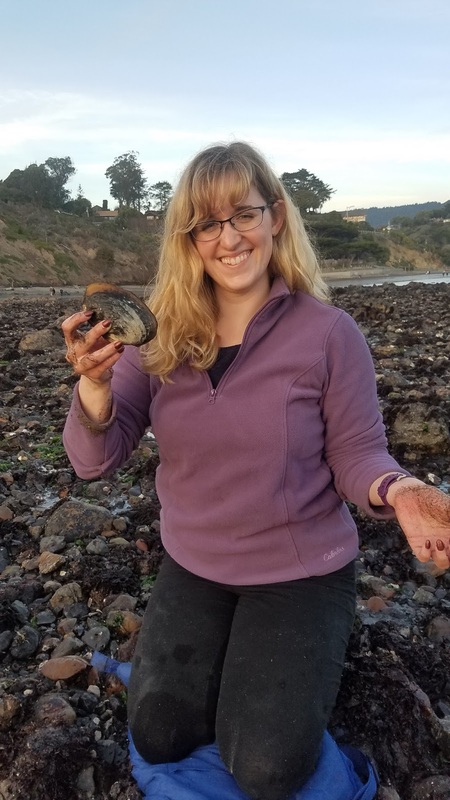 After looking around we found some big gaper clam shells that worked well for both digging and scooping out the water that would fill our holes. 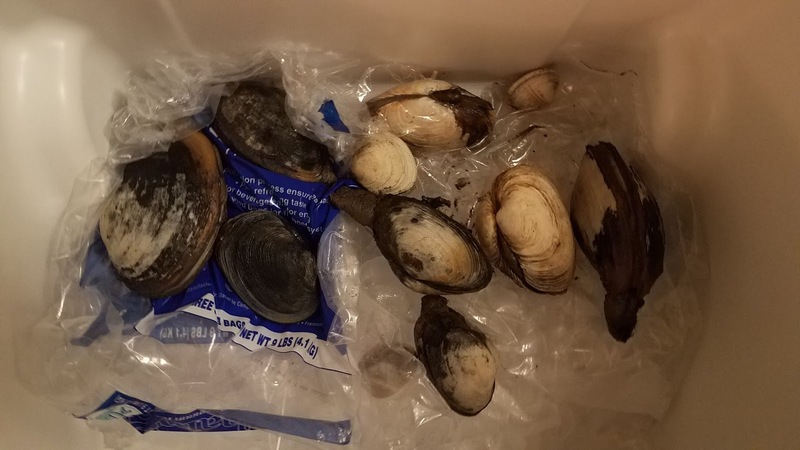 With the power of teamwork we managed to dig ourselves out a few gaper clams, Washington clams, and a couple of little necks that were all brought home for chowder. Exploring new places yields great results indeed. Right place at the right time.